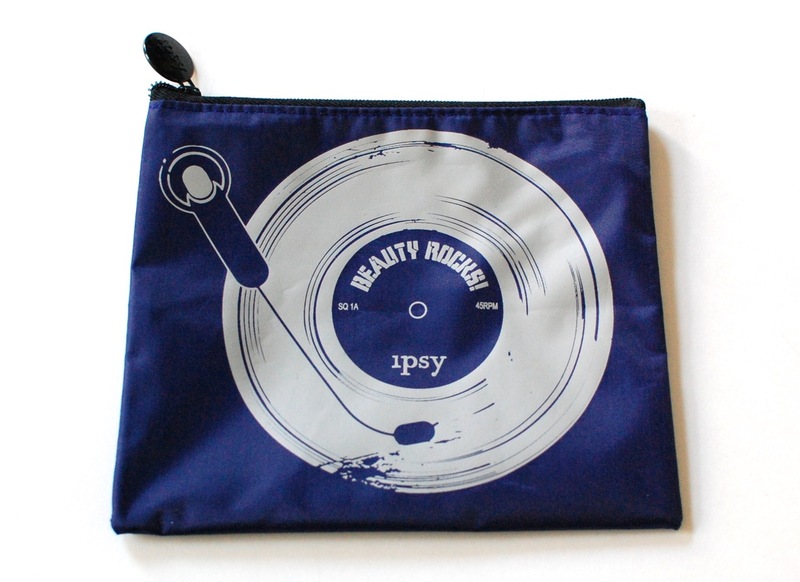 Ipsy is a beauty subscription that sends subscribers a monthly “Glam Bag” full of cosmetics and beauty accessories. When you sign up, you take a “beauty quiz” to determine your likes/dislikes, makeup preferences, etc. This helps Ipsy learn which products to send in your Glam Bag. 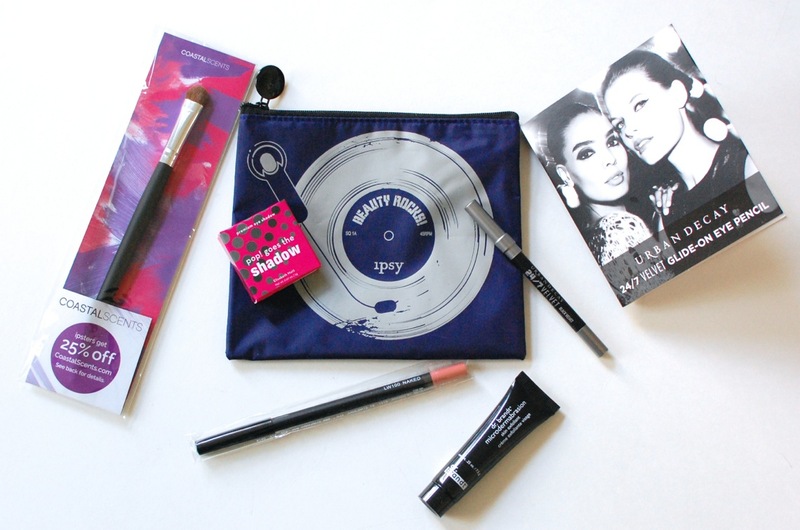 Each bag will contain 4-6 full sized and deluxe sample sized products from top cosmetics brands. Ipsy is only $10/month and offers a nice rewards program that gives you points for reviewing your products and referring friends to join. Points can be redeemed for “bonus items” in your next bag. Awesome! In all honestly, I’ve never really been too into makeup (mainly because I don’t know how to properly apply it), so I was hesitant to try a “beauty” subscription. However, for just $10 a month, I figured it was time to explore the (intimidating) world of makeup. (Plus, there are tons of videos on their site to help you get the most of the products in your bag!) Okay, let’s see what was inside! Makeup Bag – I love that you get a little makeup bag each month! I’ve seen a few from past months, and they’re always fun prints. This month’s theme was “Beauty Rocks”, so this turntable print was a perfect fit. Disclosure: I purchased this bag on my own. I was not compensated in any way. All opinions are my own. Post may contain affiliate/referral links. Amazon prices subject to change.